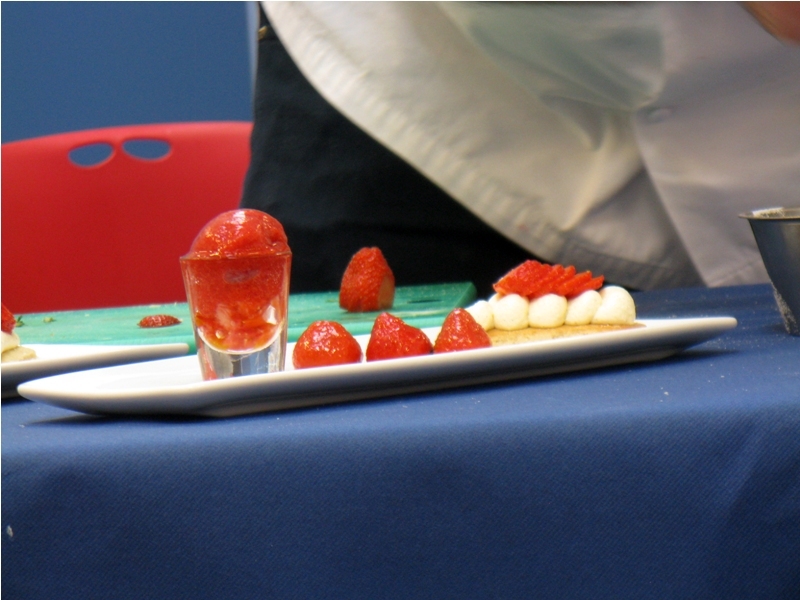 June 13, 2010 August 2, 2017 Devina DivechaLeave a Comment on Bite Sized Demonstration: Strawberry Delights! 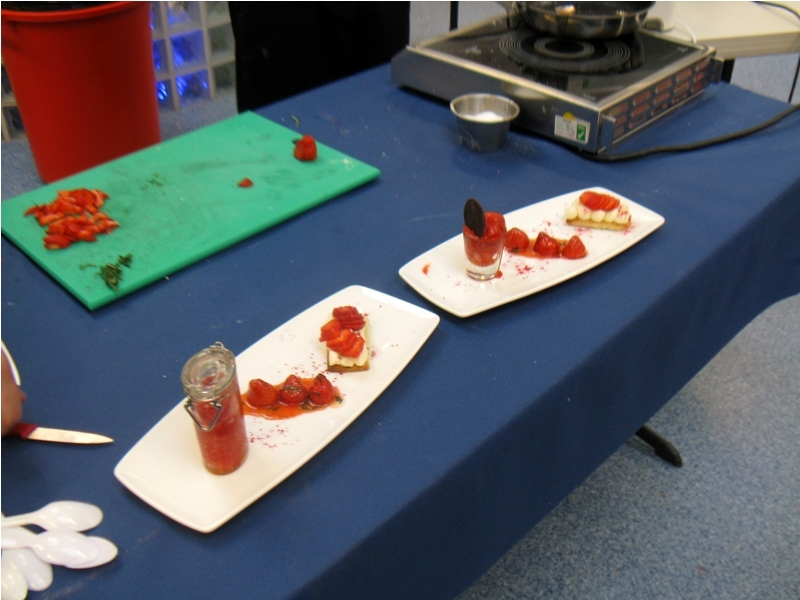 Bite Sized Demonstration: Strawberry Delights! 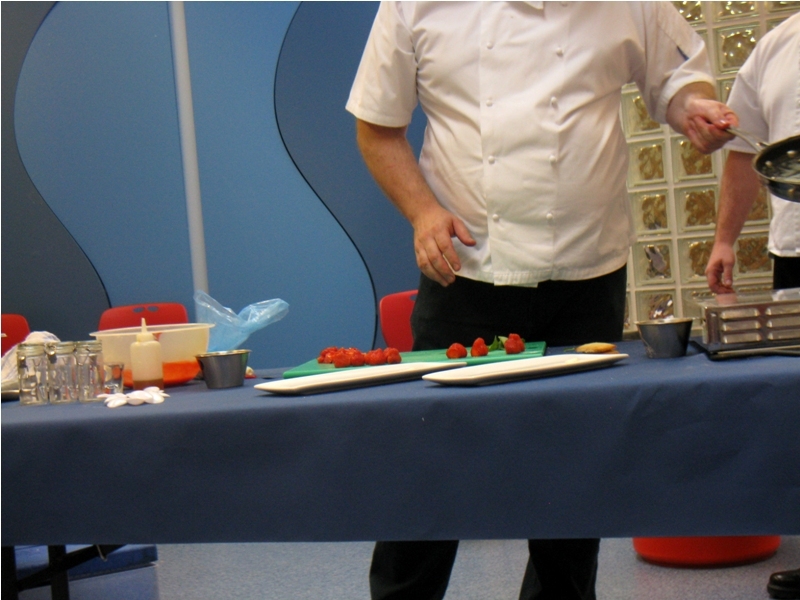 On a whim, a friend and I went to the Bite Sized Food Demonstration at Weston Park Museum (as part of their Food Glorious Food exhibition) yesterday. 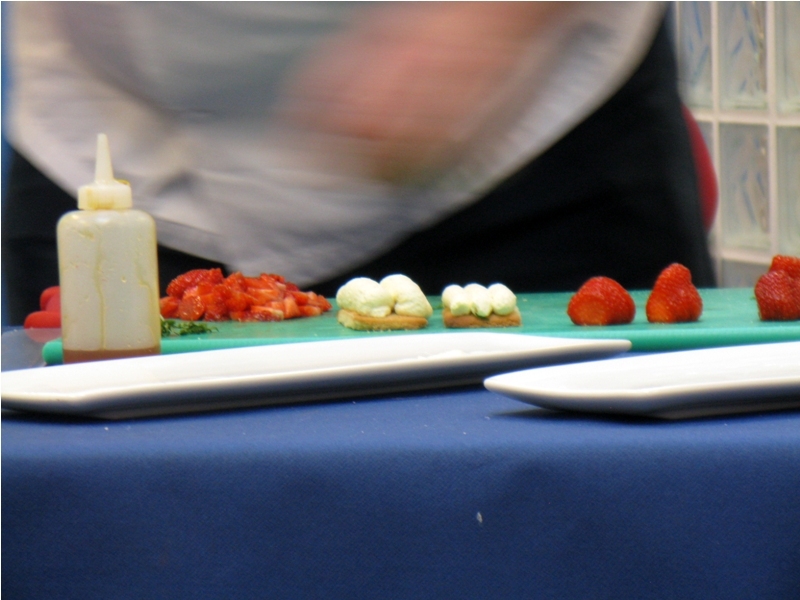 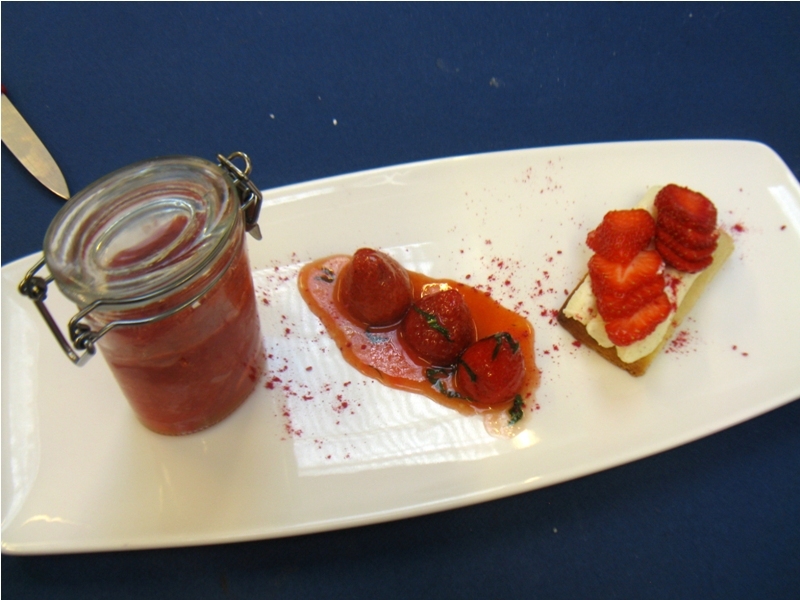 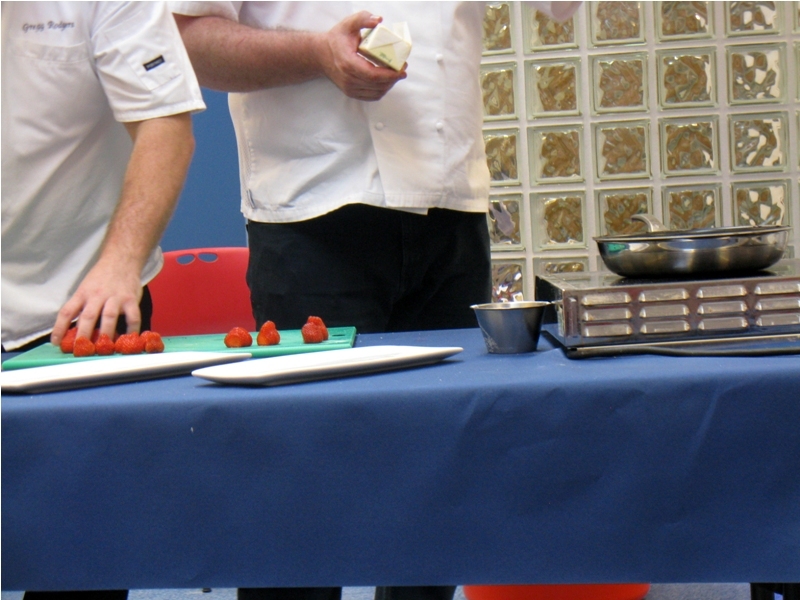 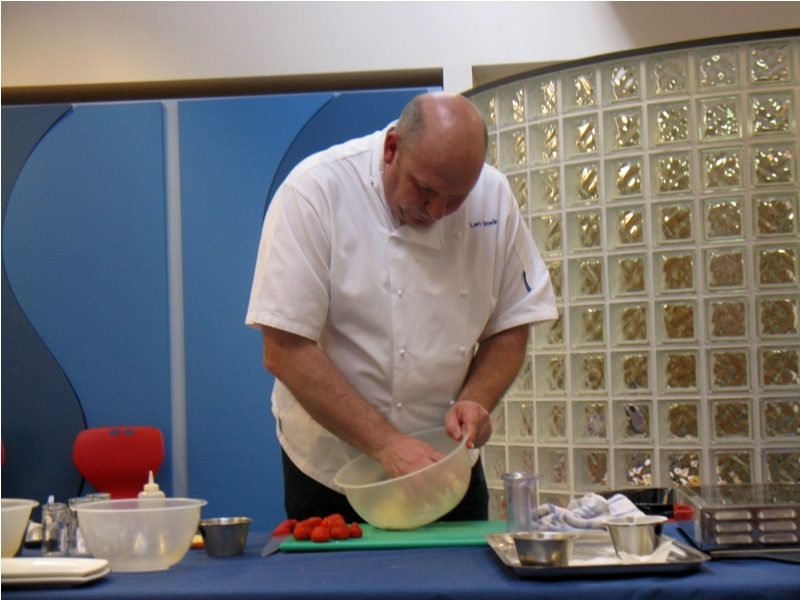 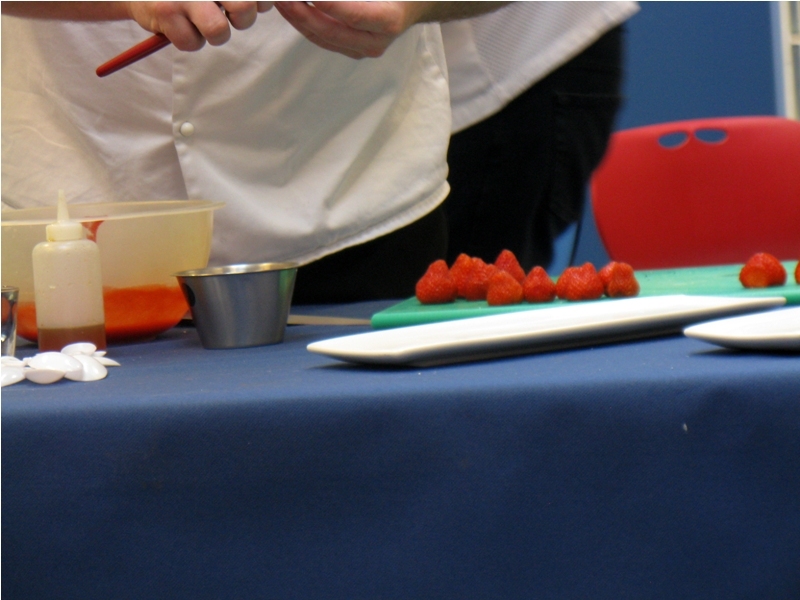 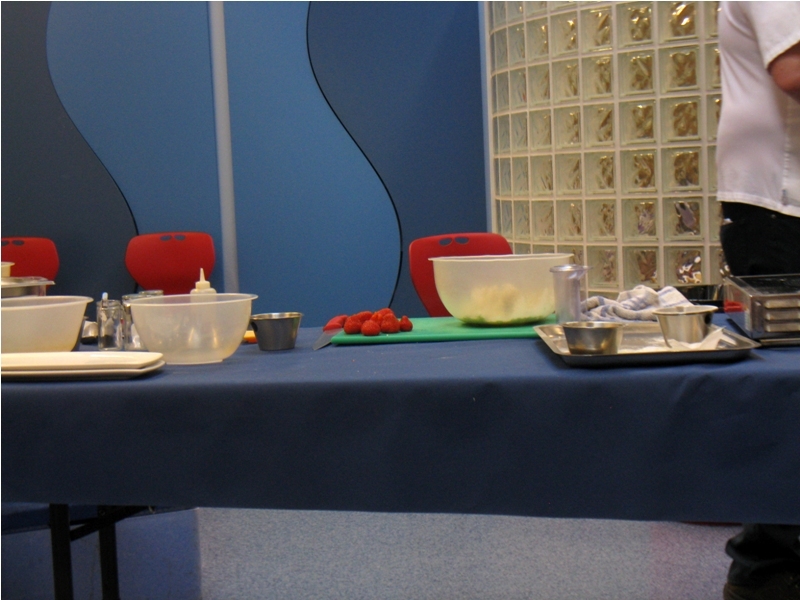 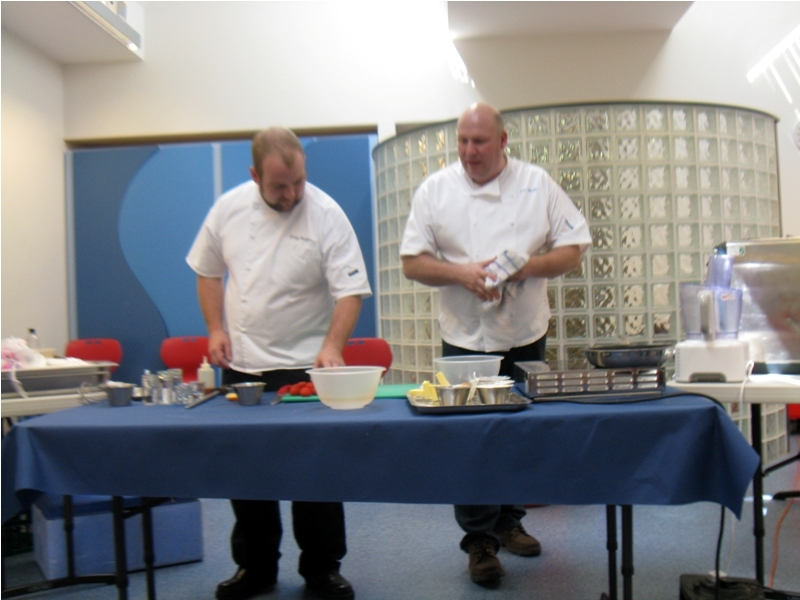 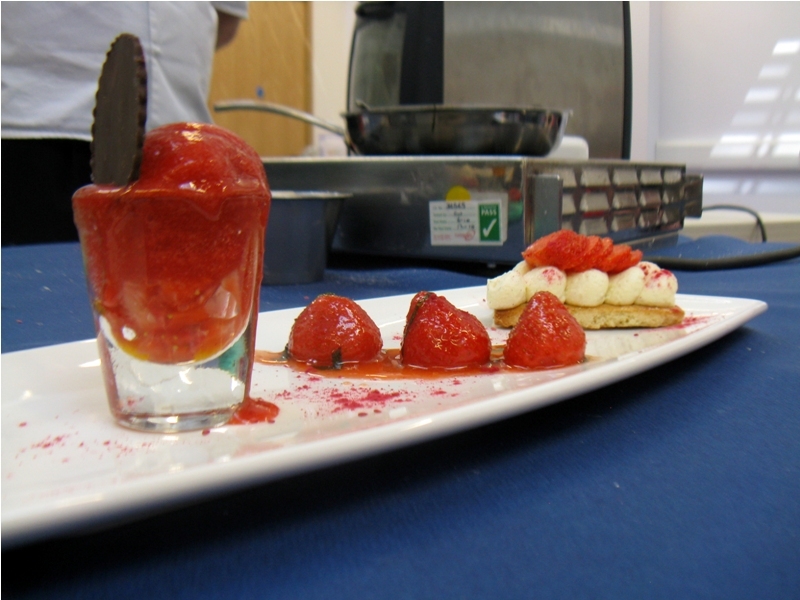 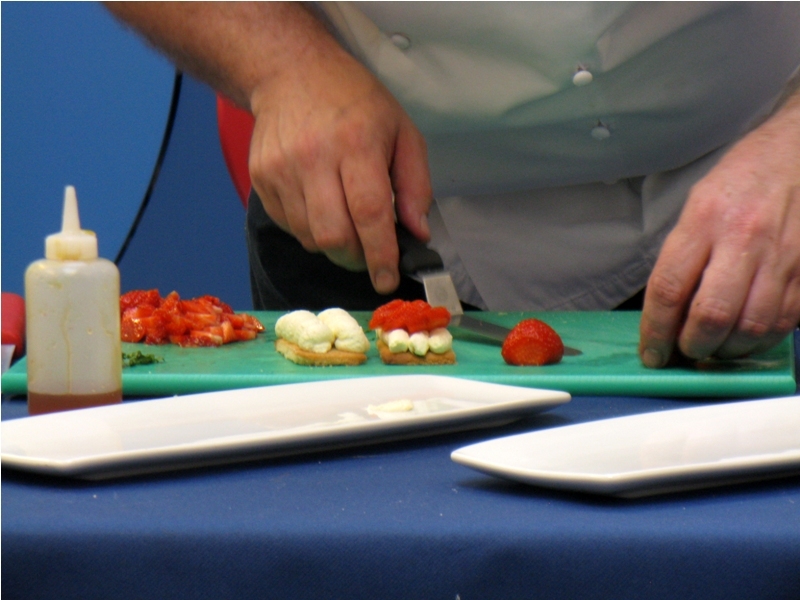 Len Unwin and Gregg Rodgers from the Sheffield College Hospitality Department showed us three creative and easy ways to whip up some strawberry delights at home. 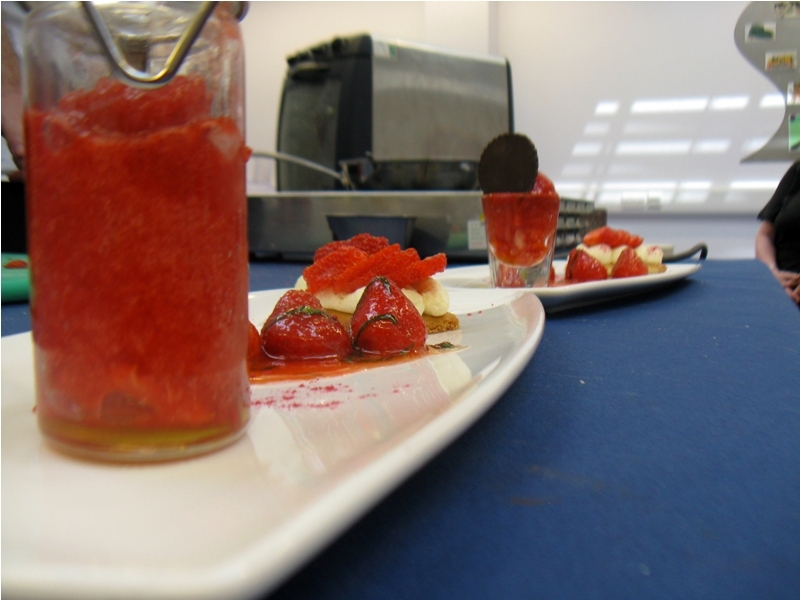 An easy version of strawberry cheesecake, pan-roasted strawberries and a strawberry sorbet is what we in the lucky audience got to sample at the end of it. 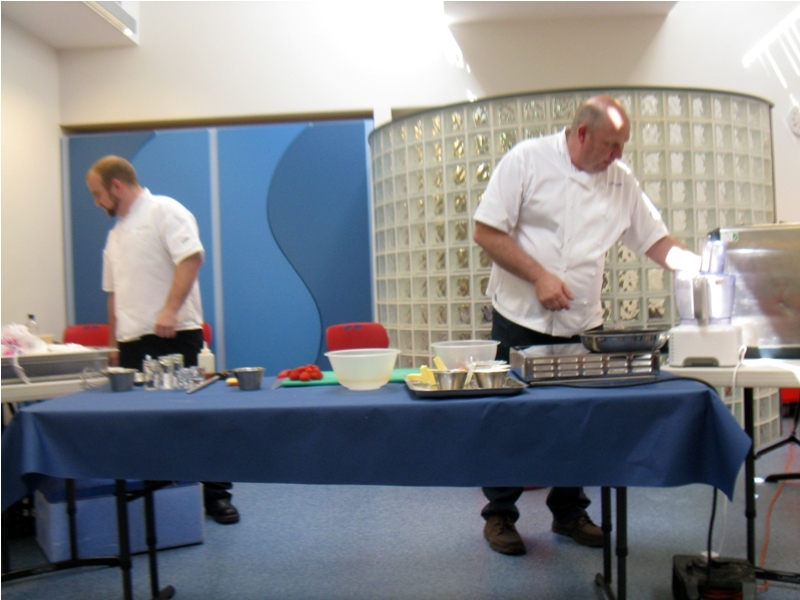 A 30 minute demonstration, Unwin and Rodgers showed us that it’s not too hard to make delicious and healthy food at home. 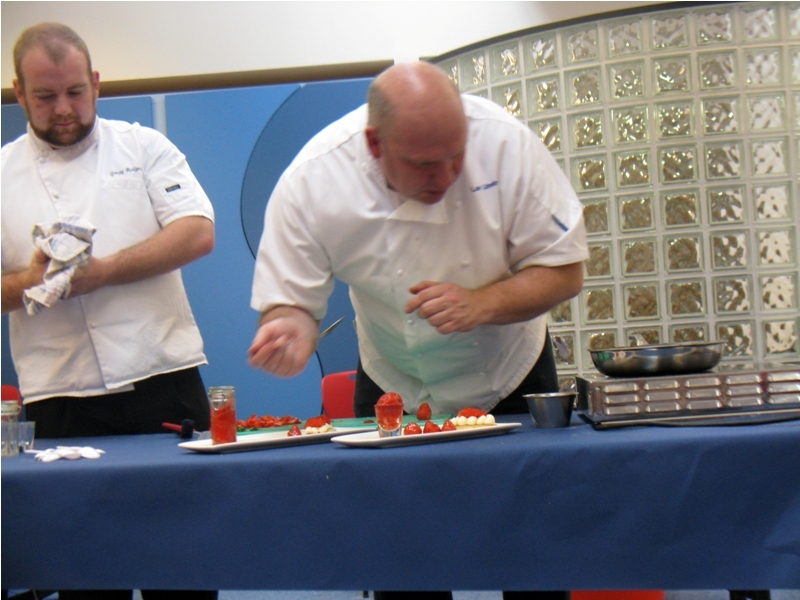 Making it an interesting and interactive event, the duo peppered the demonstration with handy tips (for example, do not be blasphemous and mix things with a spoon or fork; use a spatula. 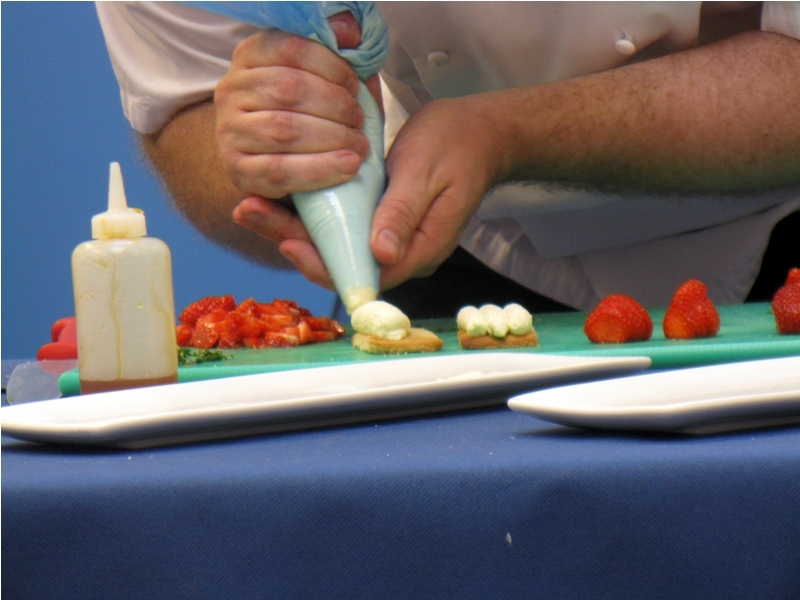 It will taste better! 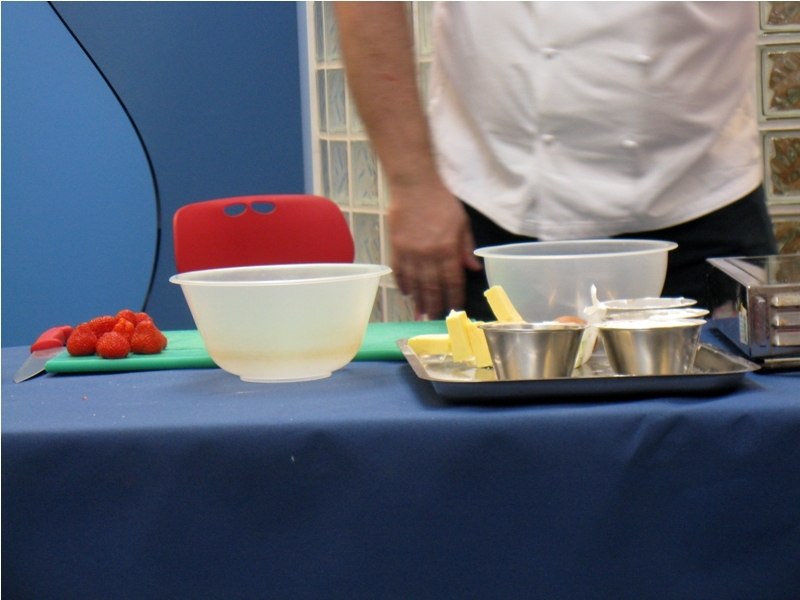 ), jokes and involved the children in the crowd. 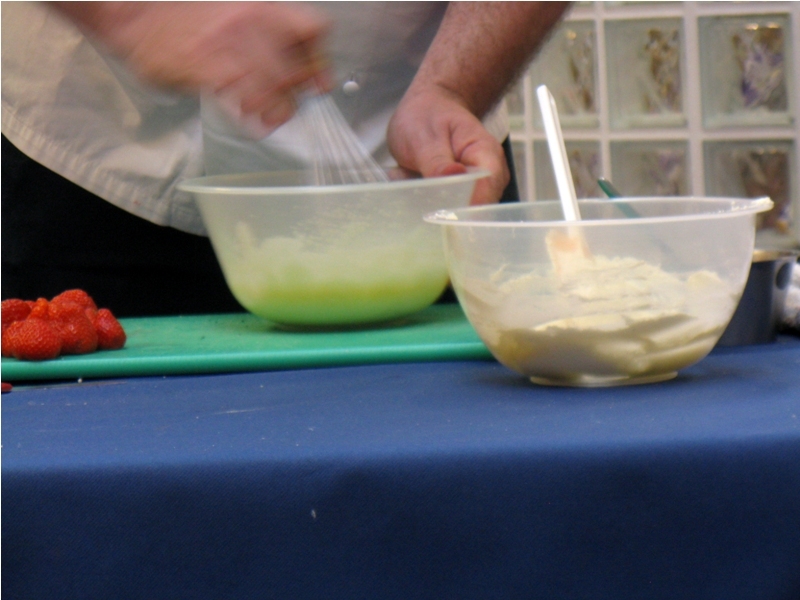 The next demonstration is on July 10 2010. 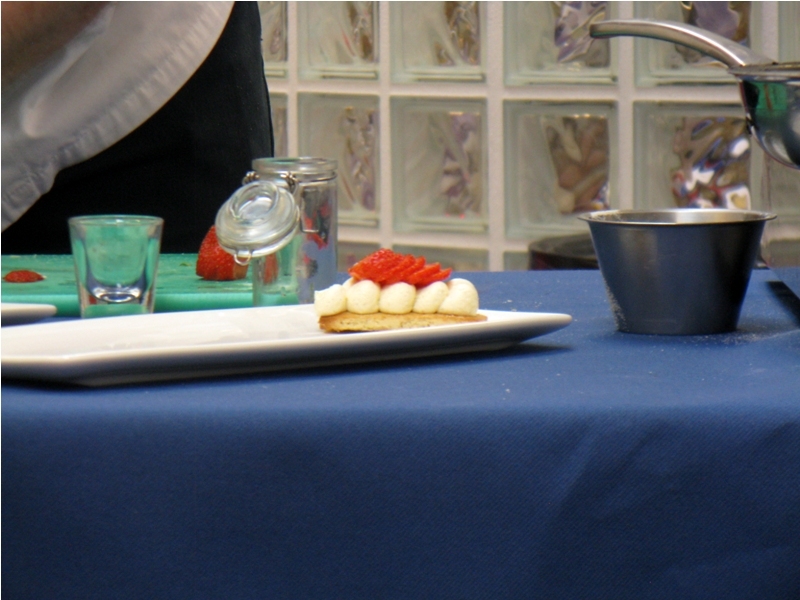 If you’re in the area, we think you should definitely check it out! 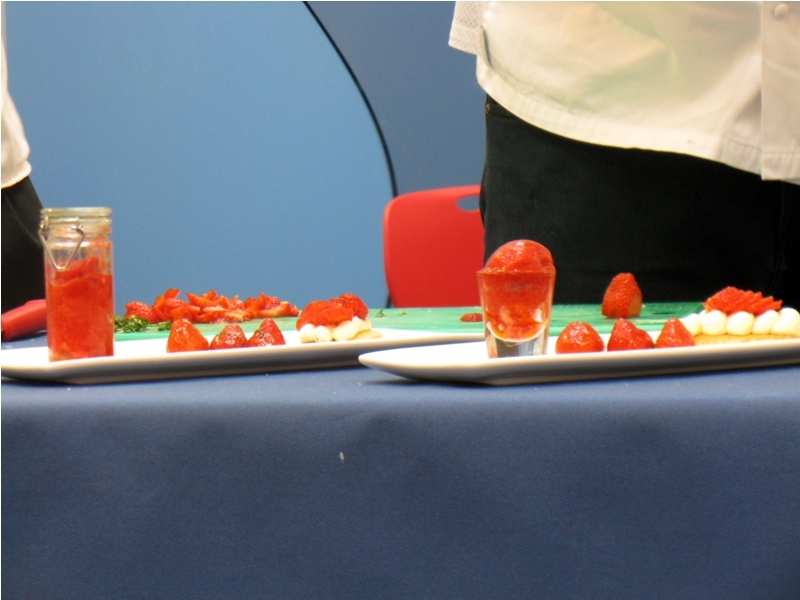 Note: I was quite dazed by the sight of succulent strawberries; my friend @RawatCentral is to be thanked for reminding me to blog about this event!